"Wisdom comes on silent wings." Two sisters search for the SkySpirits on a cold winter night. As they climb Coyote Hill, they stop to pluck icicles on trees, meet a rabbit and a deer, and listen to faraway sounds. Filled with wonder and excitement, they dance beneath the stars. Brian Deines' paintings capture the vast night sky, the closeness between sisters, and the magic of the Northern Lights. Fourteen-year-old Amrith is still mourning his mother's death eight years before. Even though he has a loving home with Aunty Bundle and Uncle Lucky, he feels lonely and apart. Then his Canadian cousin comes to visit. Entranced by Niresh's North American ways, Amrith falls in love. Shakespeare's Othello, with its theme of disastrous jealousy, is the backdrop to the drama that Amrith soon finds himself. In a satisfying ending, Amrith comes to terms with his past and his sexuality. When Lonnie Collins Motion was seven years old, his life changed forever. Now eleven, he is still trying to deal with his feelings. With the help of his teacher, Ms. Marcus, he discovers a new way of expressing himself and a renewed determination to put his family together again. Told in the form of free verse poetry, this is a thoughtful, lyrical novel. 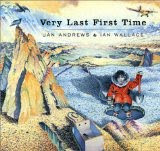 A wordless picture book to be read along with the accompanying CD. As you listen to the music and imagine the movement of the umbrellas, it becomes a wonderfully immersive experience. I can see the book as the inspiration for a dance or a short film. For any child who has ever had a bad day, this collection of well-known idioms is the perfect antidote. 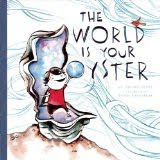 The charming illustrations ably help readers understand that if they persevere and don't give up, the world really is their oyster. A boy seeks the answers to the above questions. Through his actions, he finds the answers: the best time is always now, the most important one is the one you are with, and the right thing to do is to do good for the one who is standing beside you. Amedeo Kaplan had a dream: he wanted to discover something. More specifically, he wanted to find something that had been lost; something that people didn't even know was lost, until it was found. When he and William Wilcox assist with the estate sale for Amedeo's neighbour, Mrs. Zender, a former opera star, they find a sketch by Modigliani. The story behind the sketch reveals a secret that dates back to Nazi Germany. Promise me you will find the castle. Promise me you will find the prince. Ever since she was a little girl, Rebecca has loved her grandmother Gemma's stories about Briar Rose. But when Gemma lays dying, she makes an incredible statement: I am Briar Rose. Bound by a promise, Rebecca goes on a journey to uncover the truth about Gemma's past, a journey that will take her to a Polish concentration camp and the unspeakable horror of the Holocaust. Jane Yolen has turned the tale of Sleeping Beauty into a haunting, unforgettable novel, both romantic and heart-breaking. Similar to Alego (see previous post), except that Eva and her mother are searching for mussels. A unique difference is that the search occurs under the sea ice when the tide is out. For the first time, Eva explores this fascinating environment on her own. Alego and her grandmother go to the shore to gather clams. Alego finds many interesting creatures in the tide pools. A simple story told in English and Inuktitut. Teevee's coloured pencil drawings ably reveal life in Cape Dorset, Nunavut. An illustrated glossary is included, unfortunately without a pronunciation guide. However, children will enjoy this book. Now that October is over, our thoughts turn to all things wintery. To start off the season, here is a book that first made an impression twenty years ago. It remains popular today. On a cold winter night, a father and child go owling. When you go owling, you have to be quiet and make your own heat. You also need hope. Sometimes there isn't an owl, but sometimes there is. A quiet, perfect book.